Today I completed my first author interview for the wonderful Bibliophilic book blog. The interview will be posted on the site during my blog tour on 14th August. I will of course post a link to it as soon as it's up. Today I’m here to tell you something amazing! 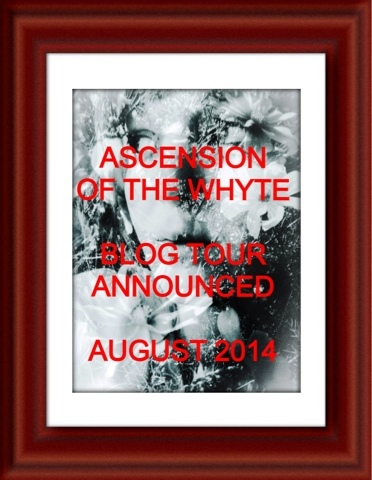 I am currently working with the owner of the book blog 'A Daydreamer's Thoughts' who is organising the blog tour for Ascension of the Whyte. To find out more information about the book, it’s all below! To sign up for the tour, follow this Link . Everyone who signs up will be e-mailed. The tour will run from 9th August to 16th August. It will consist of reviews, interviews, guest posts, and other inspired posts, along with a tour wide giveaway. The book was released on the 9th June. Review copies for the tour will be in e-format. All relevant post information will be sent to the bloggers at least three days before the tour.